Bipolar Hong Kong – Bipolar in Hong Kong? Join us! 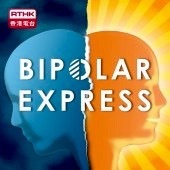 Bipolar HK is Hong Kong’s first peer-led bipolar support network. We are a collective of Hong Kong-based professionals, students, writers & artists, the majority of whom live with bipolar disorder. Our mission: to fight the stigma and stereotypes attached to mental illness in Hong Kong (while also occasionally – and mischievously – reveling in them). Most importantly of all, we’re here to remind YOU that you’re not alone in your quest for innovative and creative ways of managing your mood disorder. Bipolar Hong Kong is your chance to unite with others like you, explore and experiment with fresh ways of reducing your bipolar symptoms, receive the peer support you need and deserve, and perhaps change the way you view your mood disorder forever, as well as the way others perceive you. If you’re looking for fact-proven medical advice written by a leading psychiatrist with a jumble of indecipherable letters after his/ her name, this site is not for you. But if you are looking for provocative theories based on self-research and personal experiences, peer advice (including details of Hong Kong’s First Bipolar Support Group), alternative remedies, creative inspiration & humor, join us!